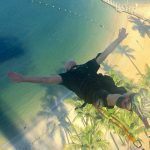 Singapore blog — The fullest Singapore travel guide blog for a budget trip to Singapore for the first-timers - Living + Nomads – Travel tips, Guides, News & Information! 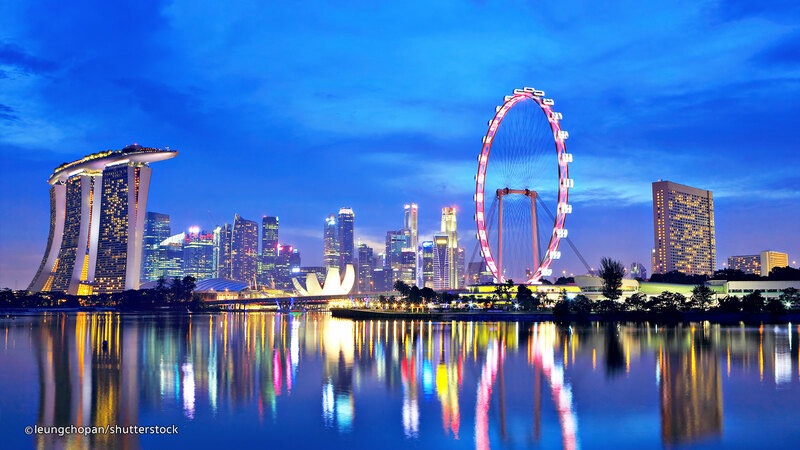 As a safe country, hospitality as well as possession of thousands of busy shopping centers, various entertainment services, convenient transportation system, that is Singapore — the famous tourist island nation in Southeast Asia. It is always a great destination for every visitor. With so many modern architecture buildings, crowed and bustling streets. 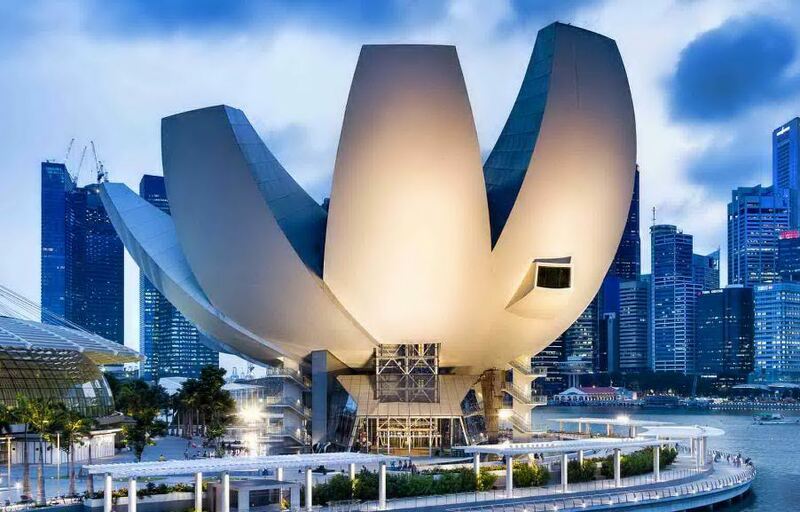 In addition, there are numerous of historical, art and natural museums such as the National Museum, ArtScience Museum, … and botanical gardens, parks, wonderful zoos like the Singapore Zoo, Gardens by the Bay or Botanical Gardens, extremely beauty that no where never ever had. Living Nomads brings together all the Singapore travel experiences with all information you need to know to have an unforgettable vacation with full exciting experiences. Now, let’s check it out our Singapore blog (Singapore travel blog) — The fullest Singapore travel guide blog for a budget trip to Singapore for the first-timers below. 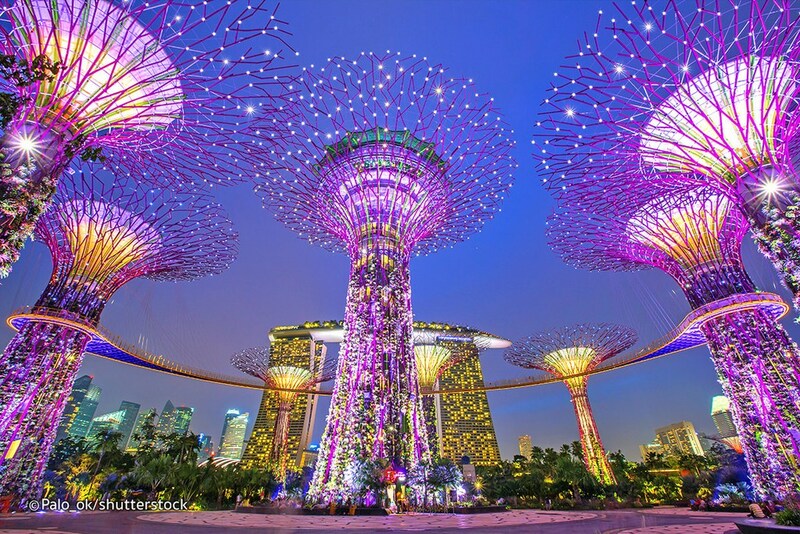 Singapore itinerary 5 days — How to spend 5 days in Singapore budget for the first-timers? 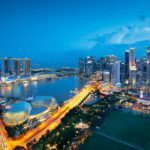 Singapore blog: When is the best time to visit Singapore? 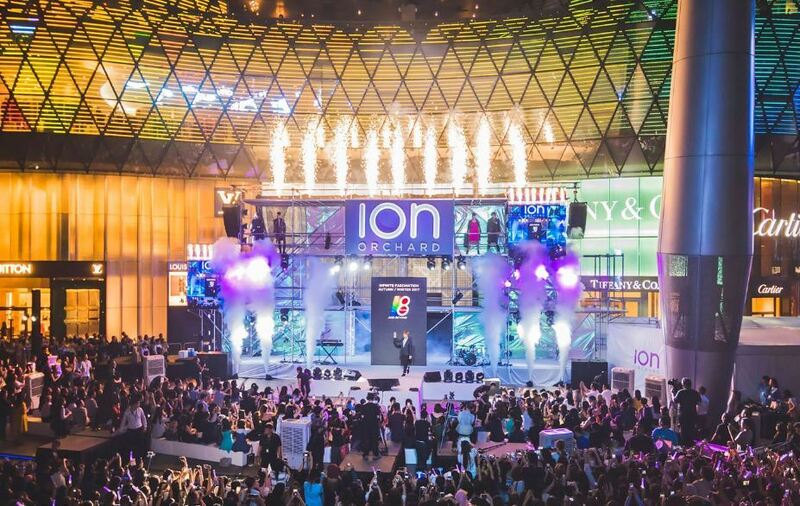 ION Orchard. 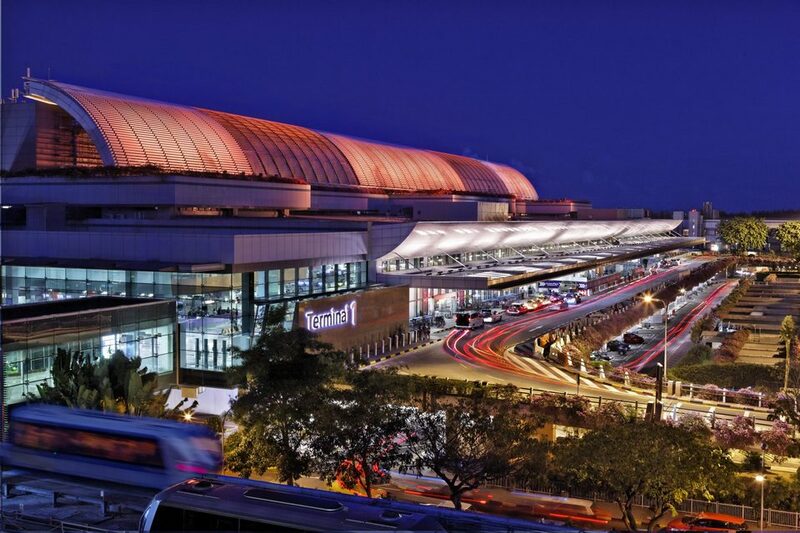 One of the best shopping malls in Singapore. 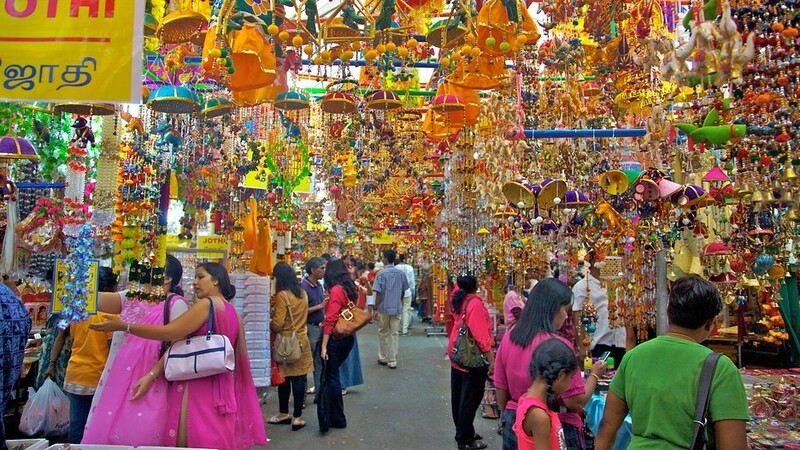 Thaipusam, a fascinating Hindu festival that takes place around February every year. 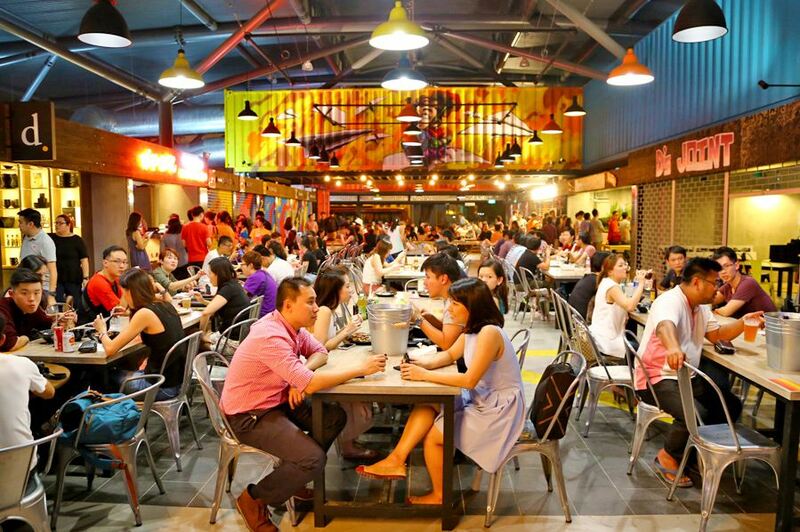 The Singapore Food Festival takes place in April. 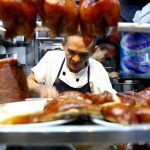 This is one of the best time to visit Singapore for travelers who want to learn and explore the culinary culture of this country. The biggest sales season of the year is in June. There are a lot of fashion brands in the busiest shopping centers will simultaneously discount their prices at this time. Shoppers love shopping do not miss this unique opportunity. 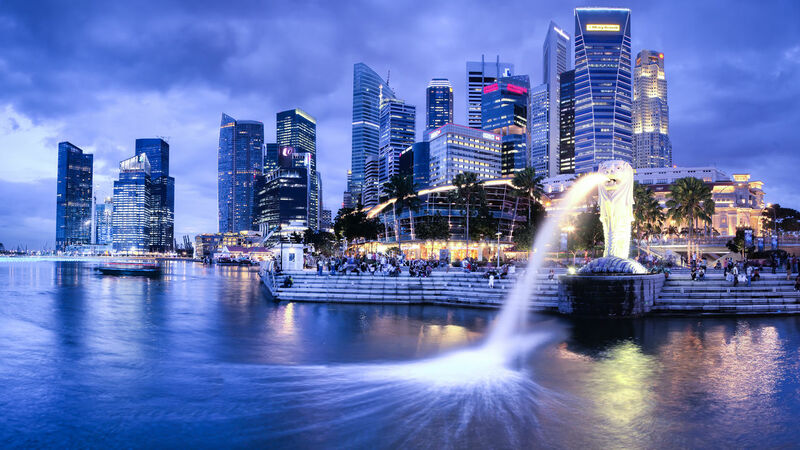 In July and August, there are two summer months with fewer tourists, if you want to travel to Singapore with a low cost, then you should choose this time is very appropriate. Little India Singapore. One of the best places to visit in Singapore. Singapore blog: How to get to Singapore from Vietnam? Only takes 2 hours fly from Vietnam. There are many flights of many airlines from Vietnam to Singapore that you can choose, such as Cathay Pacific Airways, Vietnam Airlines, Singapore Airlines, Jetstar, Tiger Airways … You should buy tickets before flying about 3, 4 months and stay tuned for the discount airlines. 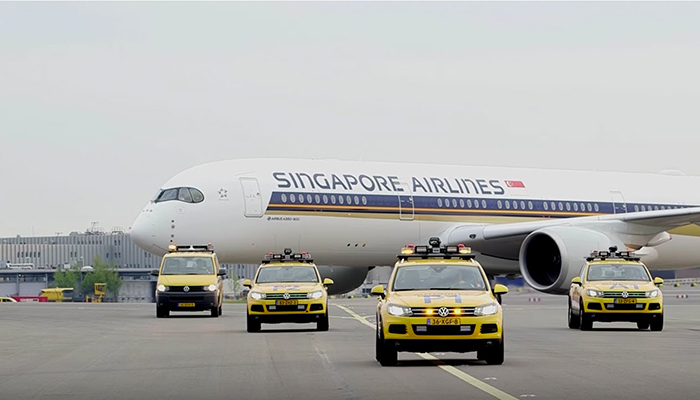 The average ticket price for a flight to Singapore will be around $90 – $140 for a round trip. To move between stations you can use the Skytrain (Changi Airport Skytrain), operating from 5 am to 2:30 am on the next morning. The service is free of charge with travel time between stations of about 90 seconds. 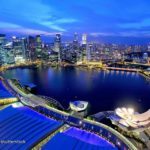 Singapore travel blog: How to get to city from Singapore Airport? Definitely not much easier than exploring Singapore by MRT! 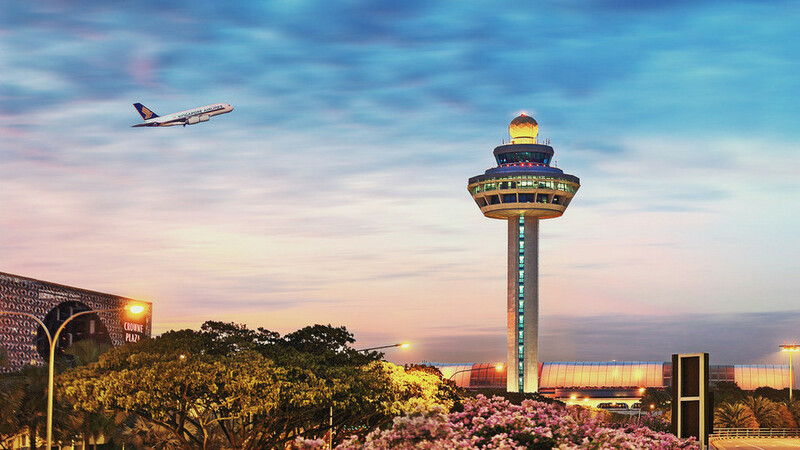 To know which Terminal you will arrival at Changi airport, you need to see in your airfare or boarding pass. If you arrival at T1 and T4 you will have to travel by Skytrain, or walking to T2, T3, because the MRT station is located between T2 and T3. To go to MRT, from T2 or T3 you follow the “Train to the City” signboard to the basement. From Changi Airport, the train will go to Tanah Merah Station. Stopping at this station you can transfer to almost all other MRT branches to the your hotel. The earliest train depart from 5:31 am (Monday to Saturday) and 5:59 pm on Sundays and holidays; The last one at 11:18 pm. Buses are also a cheap but good transport in Singapore. Credit image: singapore blog. 3 -> 1 -> 2 -> 3. 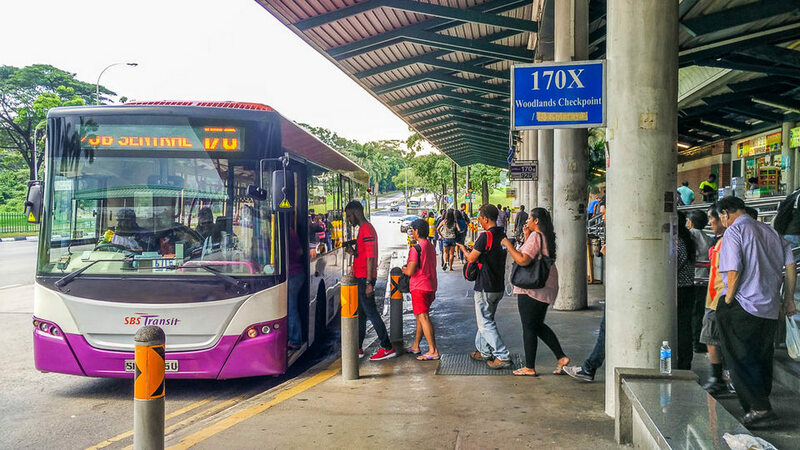 With bus and MRT, you can buy tickets for each station or recharge your EZ Link card for convenient transportation without having to stop to buying tickets. 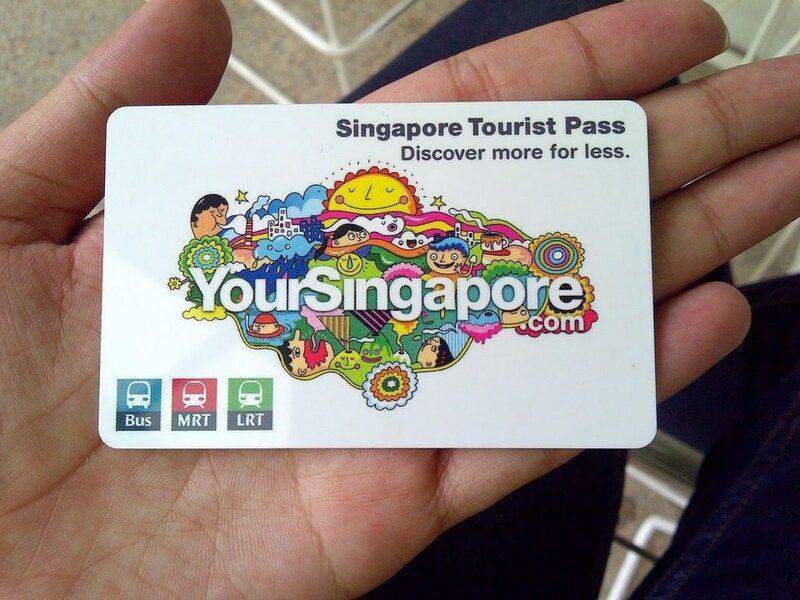 The price of this card is about SGD12 (of which SGD5 is the deposit) and it is available in any station or terminal. If you want getting to the city by taxi, you go to the reception hall of the terminal is available taxi, to getting to the center will take about 30 minutes and from SGD20 – SGD40 depending on location and time. If you go on late night, you will have to pay a surcharge of SGD5–SGD10. 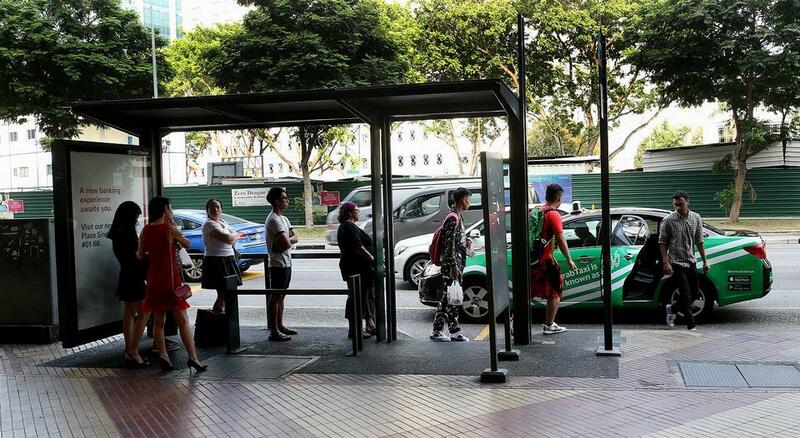 Taxis are quite expensive in Singapore so you need to consider carefully before use. Picture: singapore travel blog. 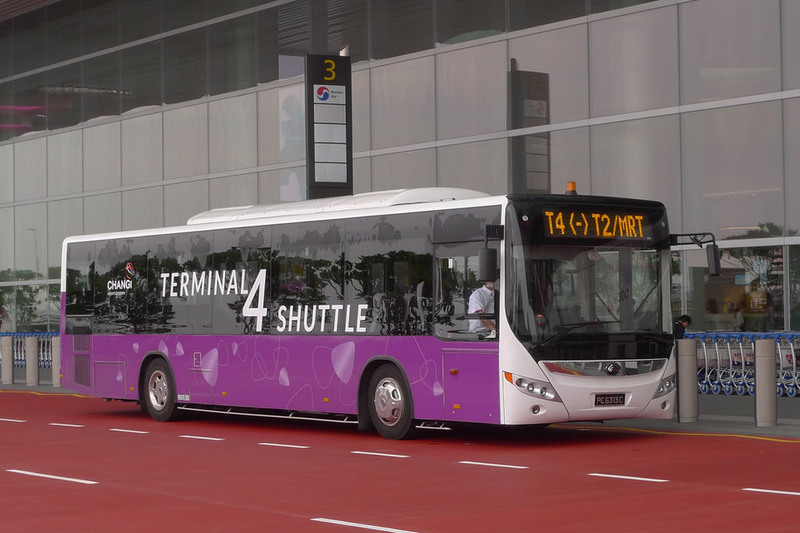 By bus, if you need to go to Johor Bahru (Malaysia) you can use the bus service at terminals 1, 2, 3. The bus will stop at Larkin Bus Station (Malaysia). 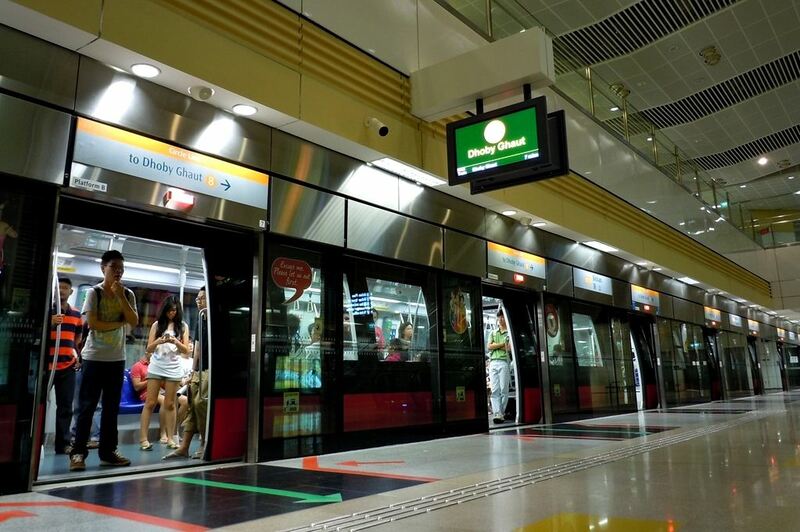 Singapore blog: How to getting around Singapore? 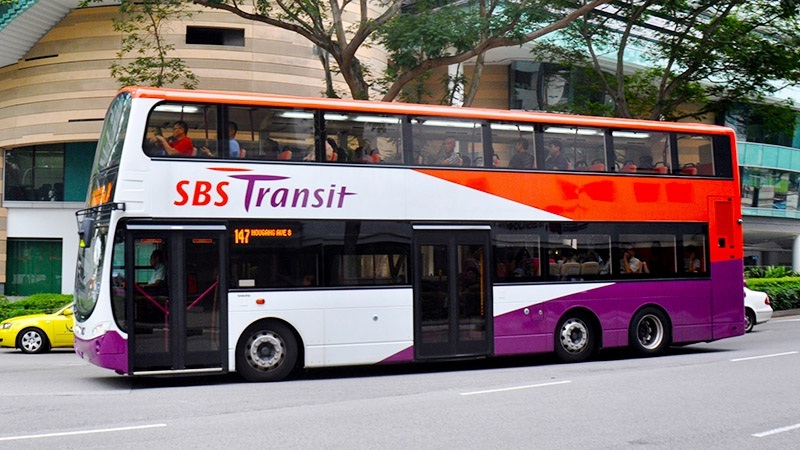 In Singapore there are three popular public transportation vehicles: taxi, bus and MRT. From the airport, you can getting to your hotel by all these 3 means of transport. 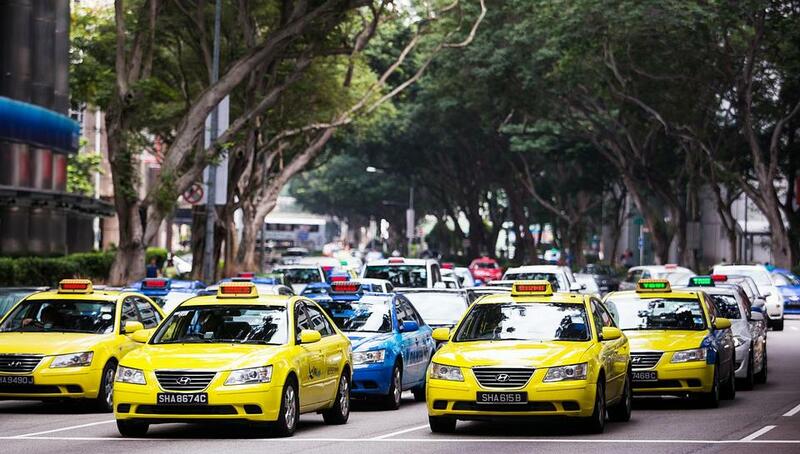 Taxis are the fastest but most expensive transportation in Singapore. Buses are cheaper, but the way they operate is different from Vietnam. 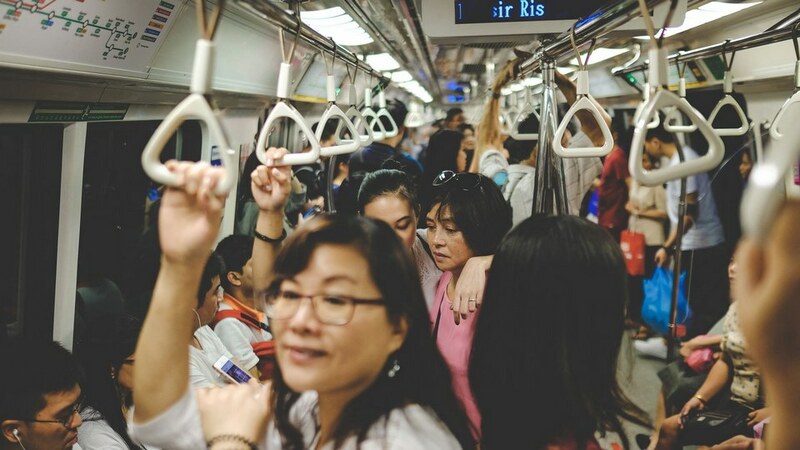 In Singapore’s self-sufficient travel experience (our Singapore travel guide blog), it’s best to travel with MRT, because this is the cheapest, safest, fastest and most convenient way to travel in Singapore. MRT cabin. Credit image: singapore blog. To use the MRT, you can buy a ticket each time at each station or buy an EZ Card for multiple uses as mentioned above. 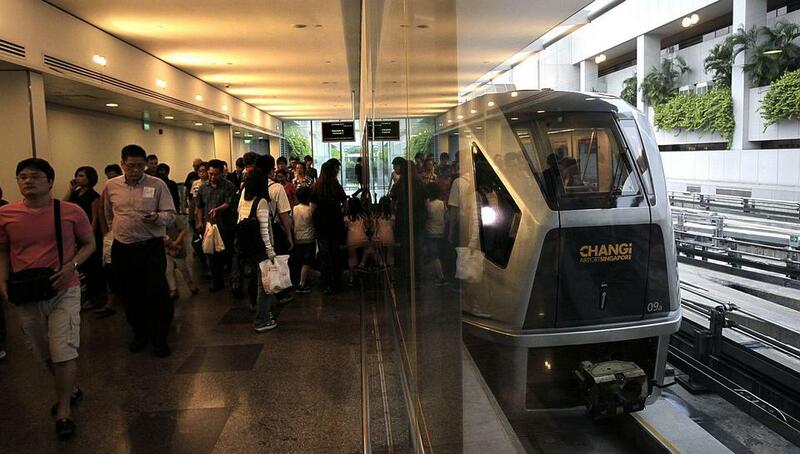 Singapore’s MRT is most modern MRT in the world and passes through most famous tourist attractions. There are 4 main routes set in the moving direction of the train: The red (the North South), The purple (the North East), The green (the East West) and The Circle Line. MRT normally operating from 5.30am and stop at 23pm and the bus is 24pm, so please pay your attention to avoid misses and have to travel by taxi. Name of station: Contains the abbreviation of the route name and station’s order number. For example, the name of the station you are going to depart is Little India (NE7) and the station name you must be down is Newton (NS21). You have to remember this if you do not want to mistakenly routes. Name of direction: Recorded on the train body. Interchange: There are some stations that are interchanges between the routes so you need to pay attention. Read more: How to get around Singapore — 6 means of transportation in Singapore for tourists. Guesthouses/hostels: ranges from SGD24 to SGD33 per night. 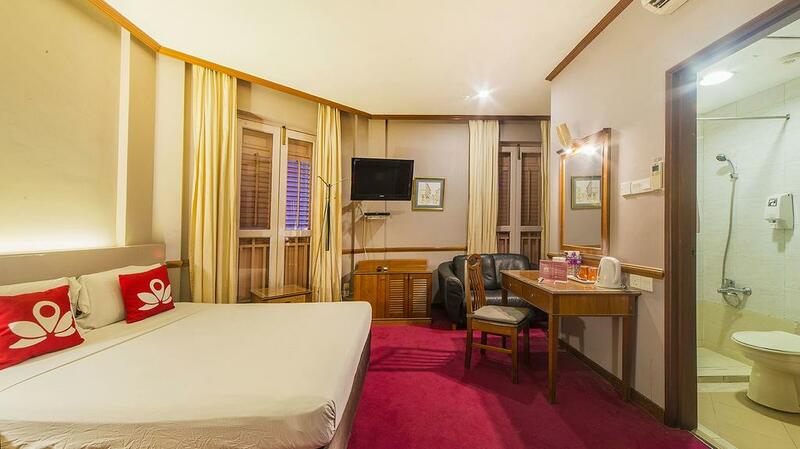 Cheap hotels: an average of SGD55 per double room with fan. Hotels: ranges from SGD110 – SGD135 per night. A room in Geylang area. Picture: singapore travel blog. 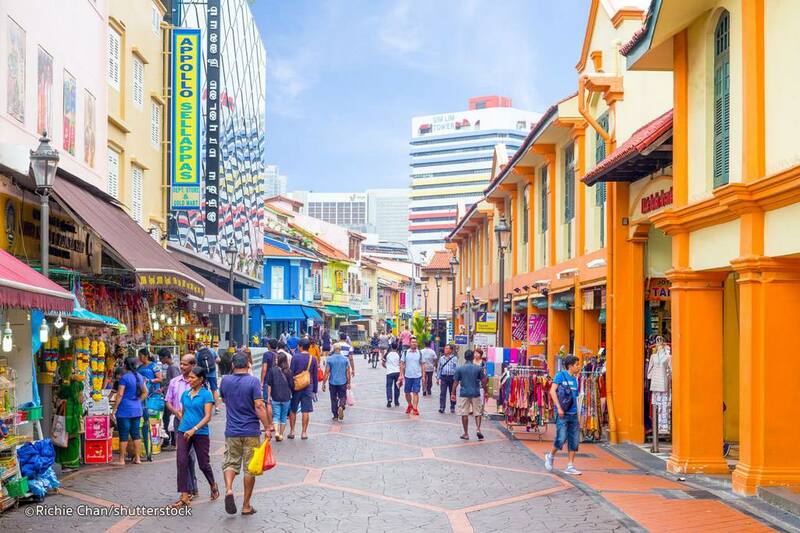 A good travel experience for backpacker travelers is you should be stay in Geylang (if you rent a hotel) or Little India (if sleeping in dorm room) will have the best price. 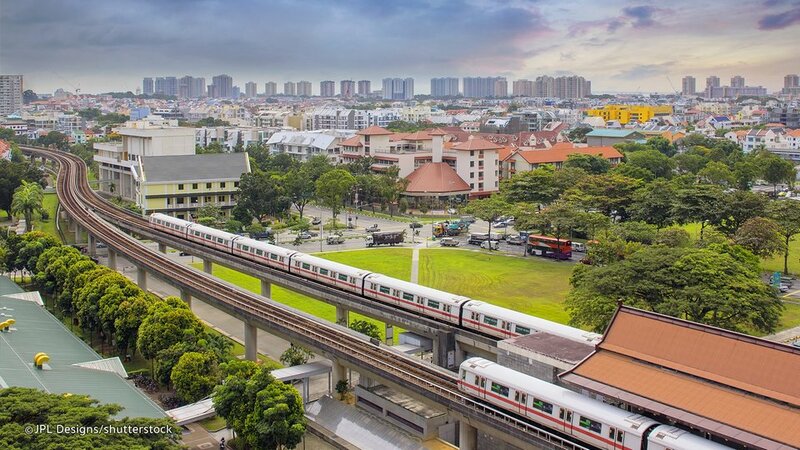 There are many buses and taxis in Singapore, but for long distance and go through all tourist attractions you should use the MRT (Express Train). Photo: singapore travel guide blog. 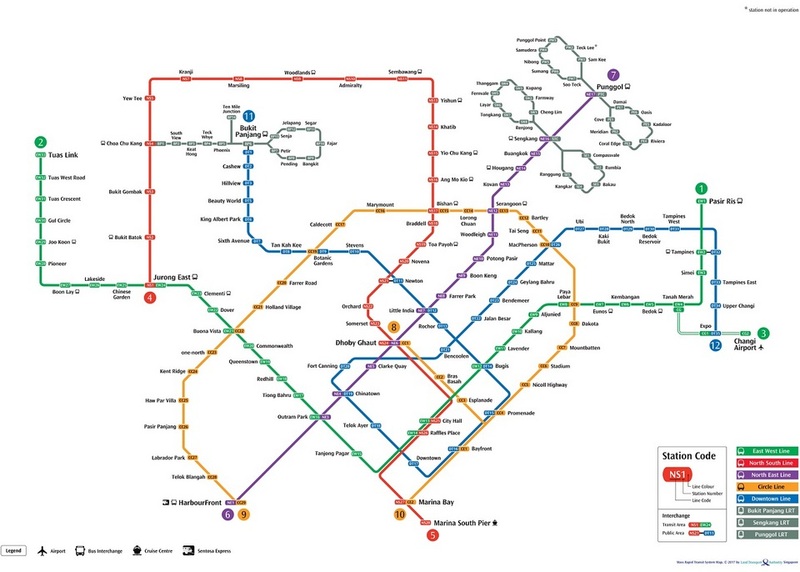 MRT: Cost based on travel distance, normally you will spend SGD4 to move between stations. Taxi: The opening price is SGD3.4, about SGD 0.55 per kilometer and SGD17.5 per hour. Bus: costs from SGD0.65 depending on the route, be sure to bring penny cash because the bus driver will not pay excess cash for you. 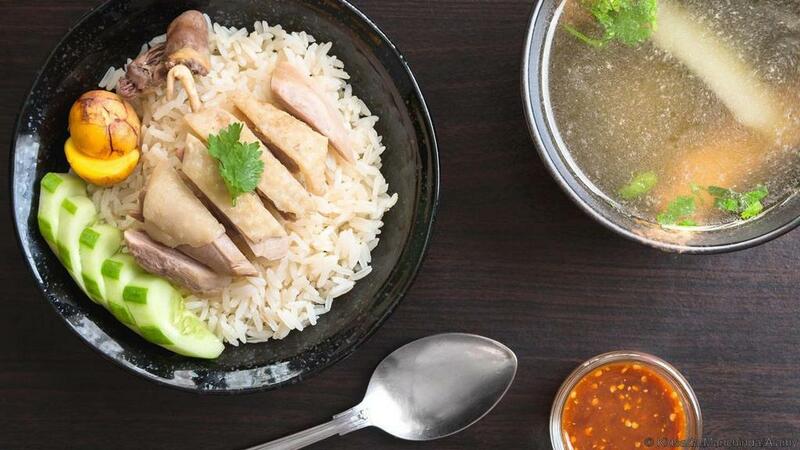 Hainanese chicken rice Singappore. Credit image: singapore blog. 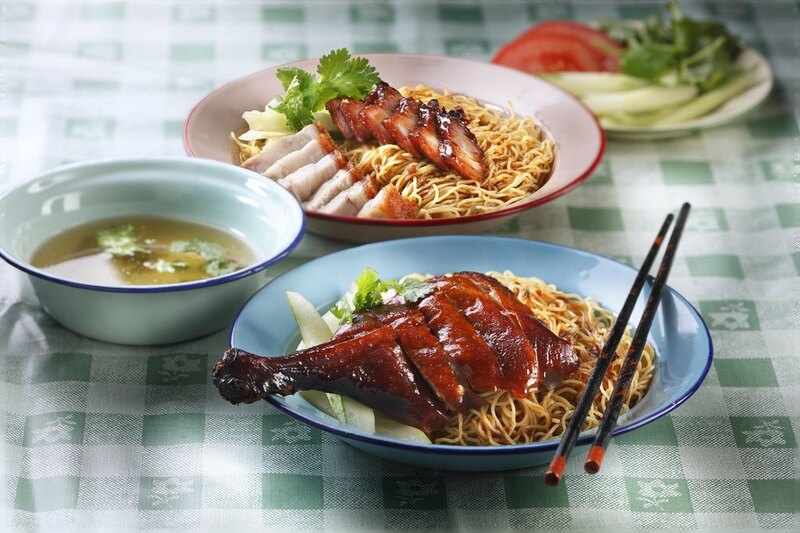 Street Food: Great solution to save money with less than SGD6 / dish. 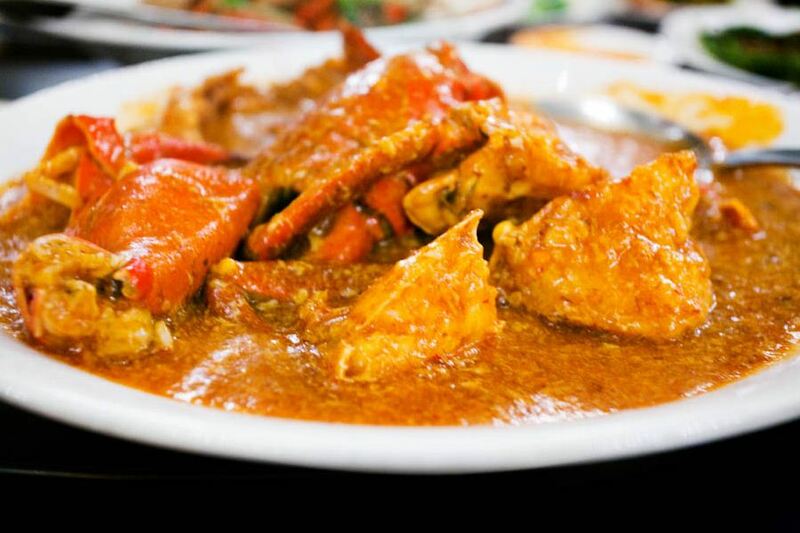 For Chinese & Indian food, it costs between SGD8 – SGD10 per dish. 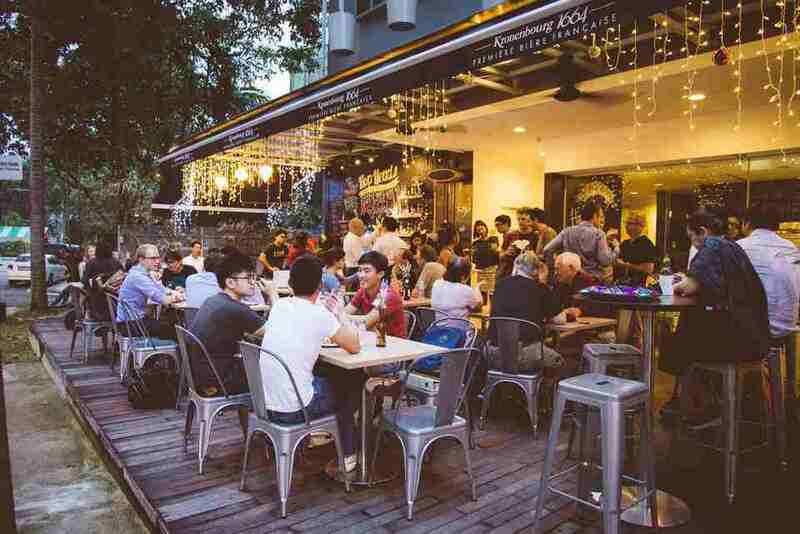 Restaurant: A full meal costs an average of SGD20 – endlessly (depending on your capabilities). 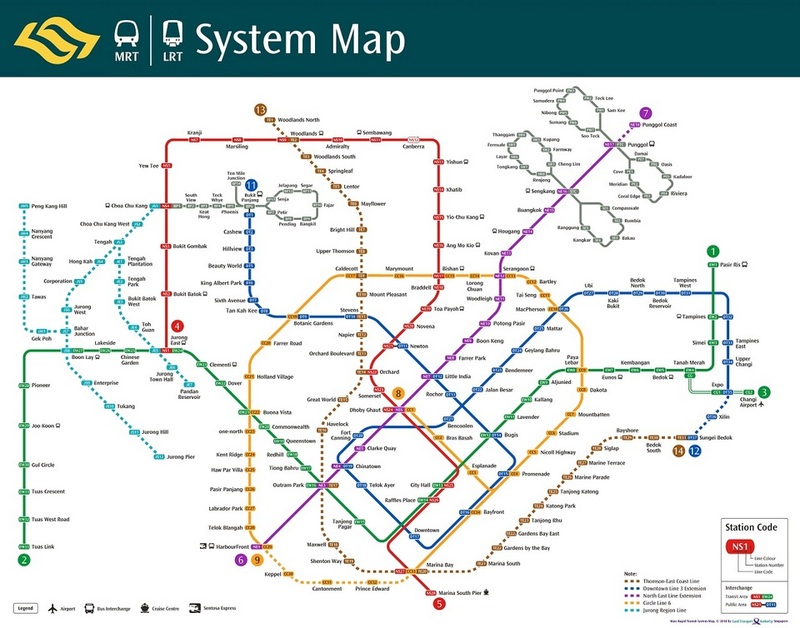 The MRT system in Singapore has 4 main routes: North South Line (sign NS – red), East West Line (sign EW – green), North East Line (sign NE – purple), Circle Line (sign CC – orange). MRT usually operates from 5:30am to 12:00pm. 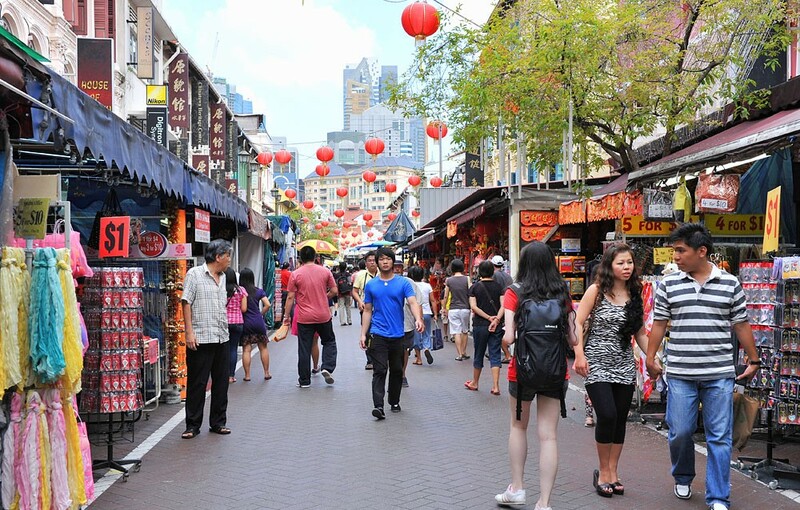 There are two important routes that you need to pay attention when traveling in Singapore. East West Line: This is the route you will travel from Chang Airport and through many other transit stations. 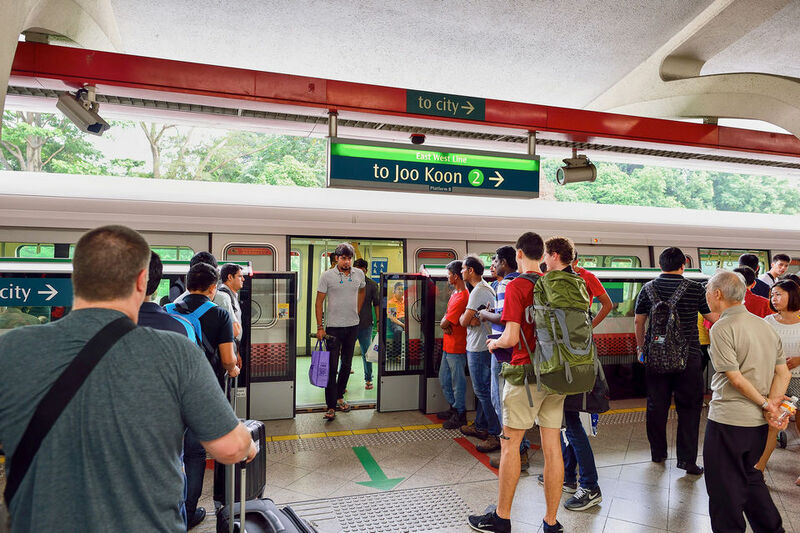 Circle Line: This route passes many city attractions, some popular stations such as the Esplanade (Durian Theater, Duck Tour), Bayfront (Gardens by the Bay), Marina Bay, Dhoby Ghaut (Transfer station of CC, NS, NE routes). Singapore Tourist Pass. Picture: singapore travel blog. recharged money, can be used many times for many types of vehicles: MRT, Bus, Monorail). 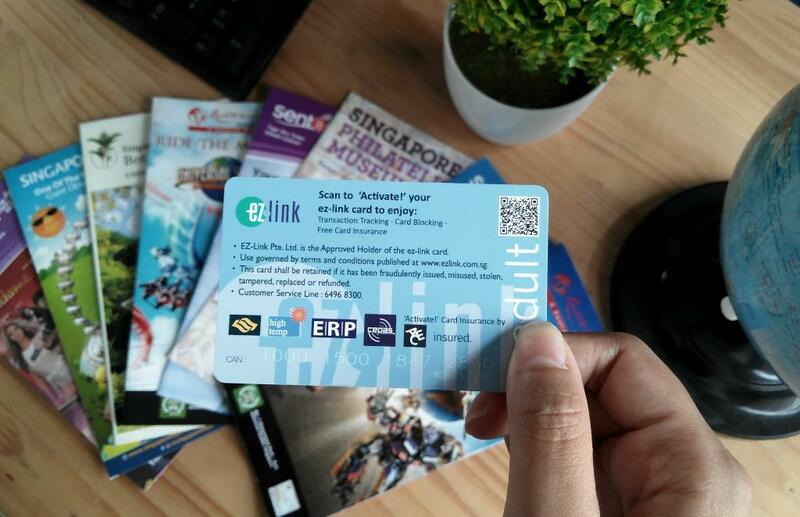 EZ-Link cards are available at ticket counters (TransitLink Ticket Office) at the stations of Changi Airport, Orchard, Chinatown, City Hall, Raffles Place, Ang Mo Kio, HarbourFront, Bugis, Lavender and Bayfront. Buses in Singapore are very nice and clean. Credit image: singapore blog. The bus system is very scientific and convenient, most of the buses are equipped with air conditioning. 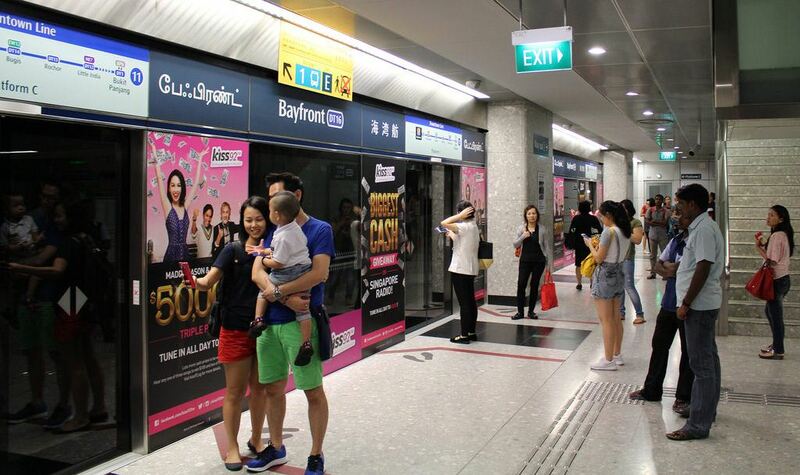 You can pay by cash (remember to bring excess cash), Singapore Tourist Pass or EZ-Link card. call 6-DIAL CAB (6342-5222) to connect to taxi call centers. 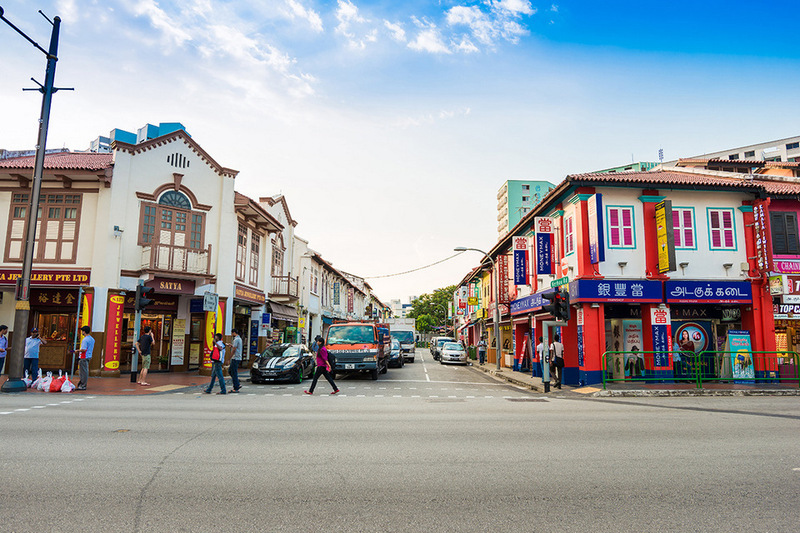 If you want to save the most money fof a budget trip to Singapore, you should choose stay Little India area (Check rates Little India hotels at here). With the price per bed in dorm room costs about SGD20 – SGD60, single room from SGD60, and double room (cheap type) from SGD100. In addition, many travelers sleep right at the airport on the first and last night in Singapore to save more money. This is also true, because the cheap flights often arrive or depart at night. 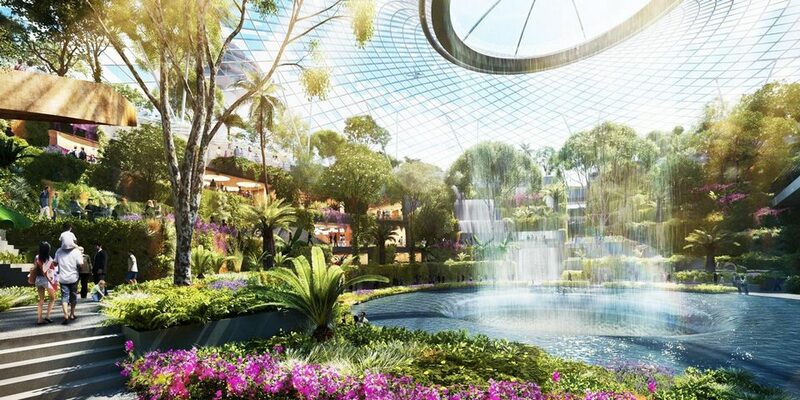 Moreover, Changi Airport is well known for its clean, safe and quite comfortable to sleep through the night. If you choose to go to bars in Clarke Quay, you can find bars hang discounted signboards or buy 1 get 1. In addition, some cheap bars but still style that you can try are Five Izakaya Bar (only SGD5 for a glass of beer, the price apply for all day) or Ice Cold B’s @ SMU (SGD10 for a big glass). Long queues in Universal Singapore. Credit image: singapore blog. One of Singapore’s most self-sufficient travel experiences is pre-booking tickets for sights, tours and activities. The reason is pre-booking usually better price than buying directly, especially when buying online. 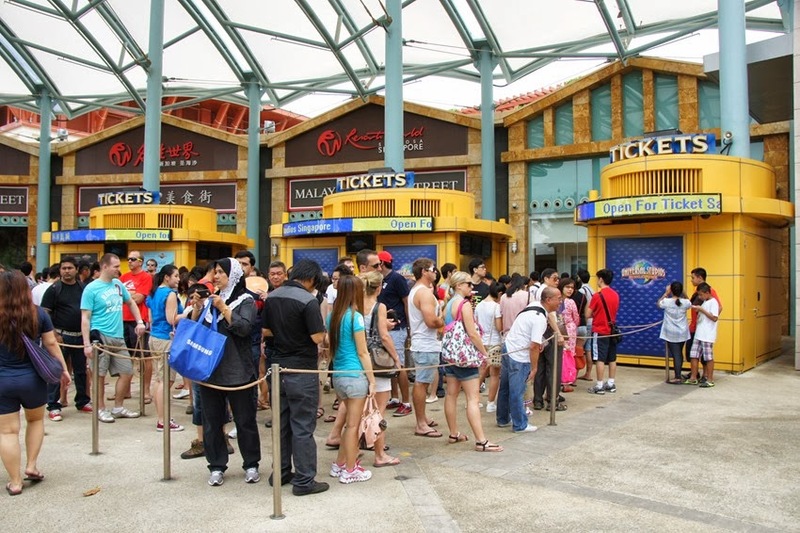 Also, with the crowded attractions like Universal Studios Singapore, buying tickets in advance will save you time, avoiding queues too long. 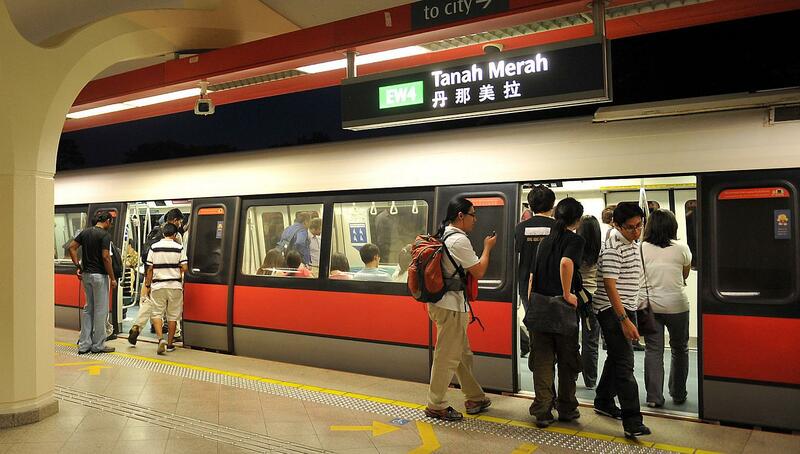 MRT is a means of transport that anyone who has traveled to Singapore choose. This type of vehicle will help you to go to any famous places and also save money. Alternatively, you can also “imitate” local people and walk to discover the cleanest city in Southeast Asia. 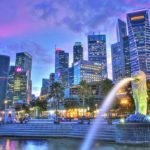 Singapore travel blog: Where to stay? The rooftop pool. Singapore has a diverse range of hotels, from cheap to luxury. Credit image: singapore blog. 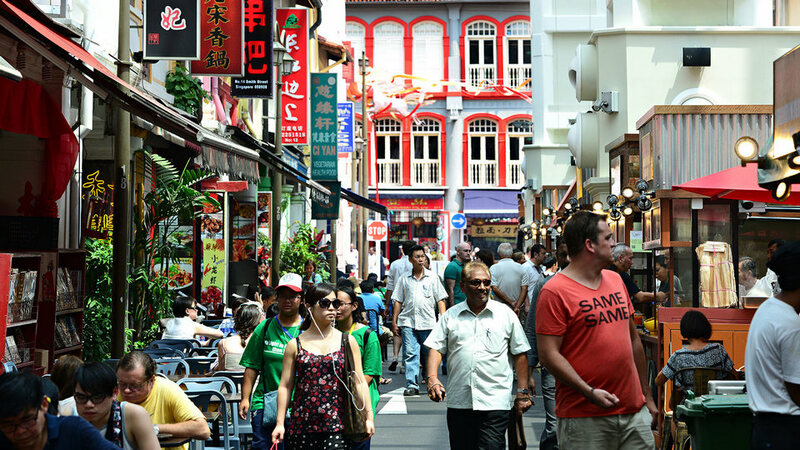 Budget: Chinatown, Burgis, Little India, Geylang. Part of Geylang is the red light district, so if you are visit Singapore for the first time, do not stay here, it will be easy to ask by customs. 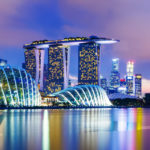 Singapore blog: Singapore travel experiences — Points of interest, best places to visi, and top things to do in Singapore. Universal Studios Singapore (USS): The largest and unique amusement park in Southeast Asia about movie theme. With dozens of adventure games, heartbreaking. 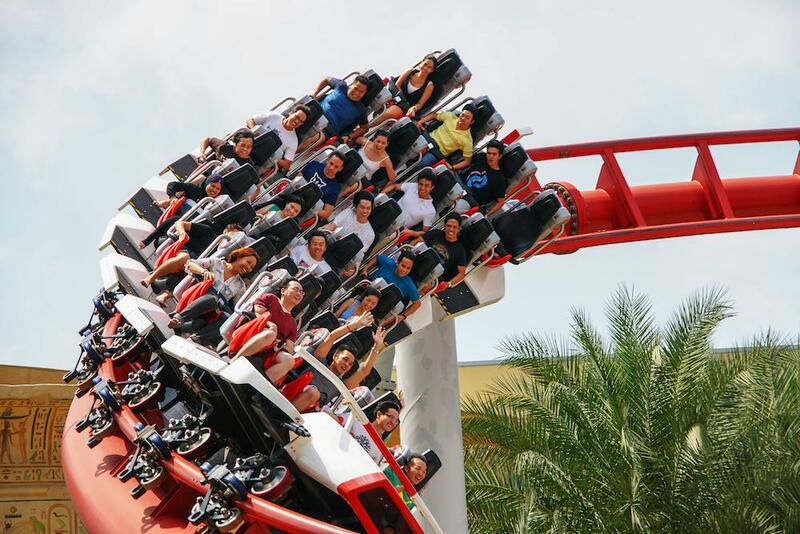 Read more: Universal Studios Singapore tips — Top 5 best tips for a wonderful trip to Universal Studio Singapore. Universal Studios. One of the best amusement parks in Asia. 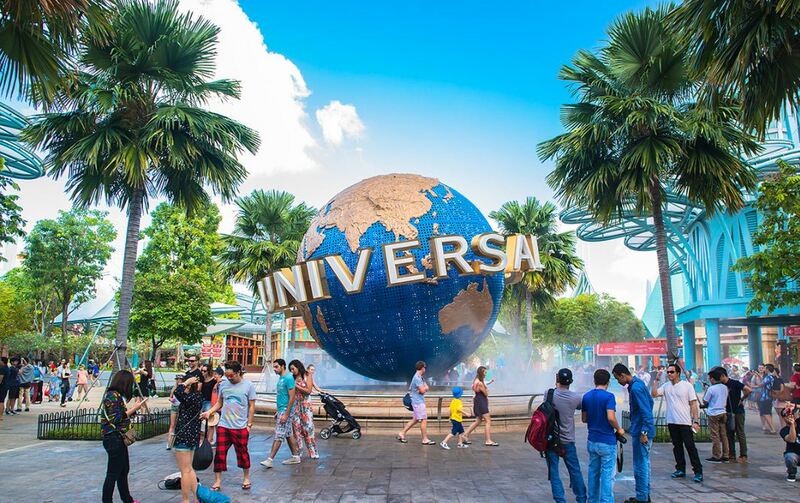 Universal Studios Singapore (USS) is the leading park where anyone who comes to Singapore must visit. 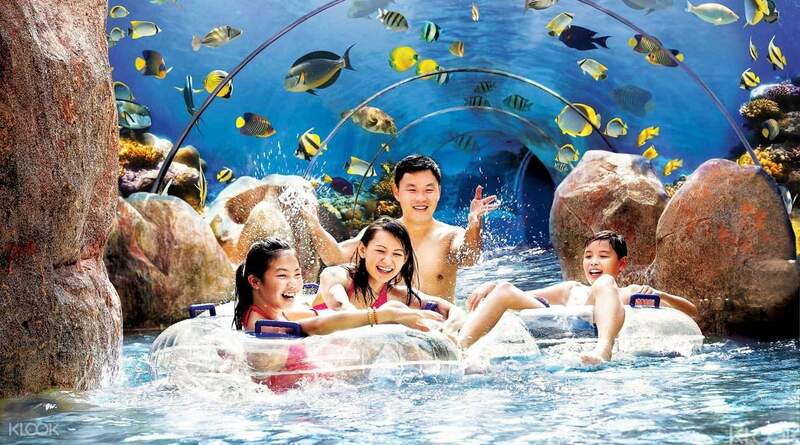 Adventure Cove Water Park: The most beautiful water park in Asia, where you can find abundant water games, enjoy a relaxing day and have fun. 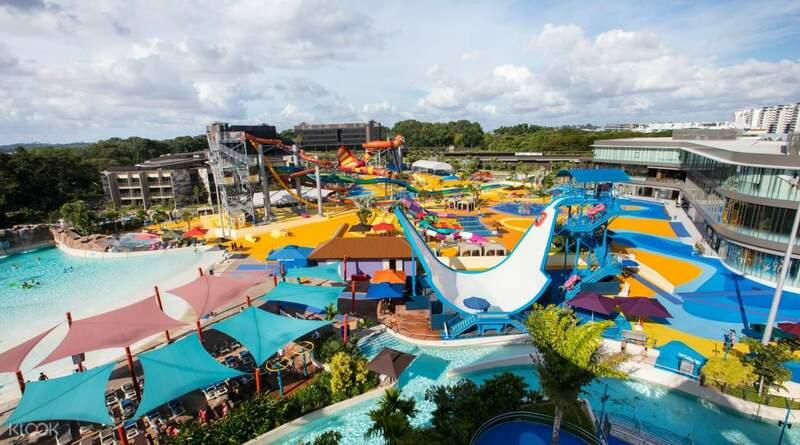 Adventure Cove Water Park is also located on Sentosa Island. Credit image: singapore blog. Wild Wild Wet: Singapore’s largest water park and one of Asia’s wonderful water parks, with its unique twist, winding, circle slides. If you are looking for the heartbreaking water slides, check out Wild Wild Wet. Credit image: singapore blog. Legoland theme park and water park: theme park and water park with the theme is the colorful Lego world. 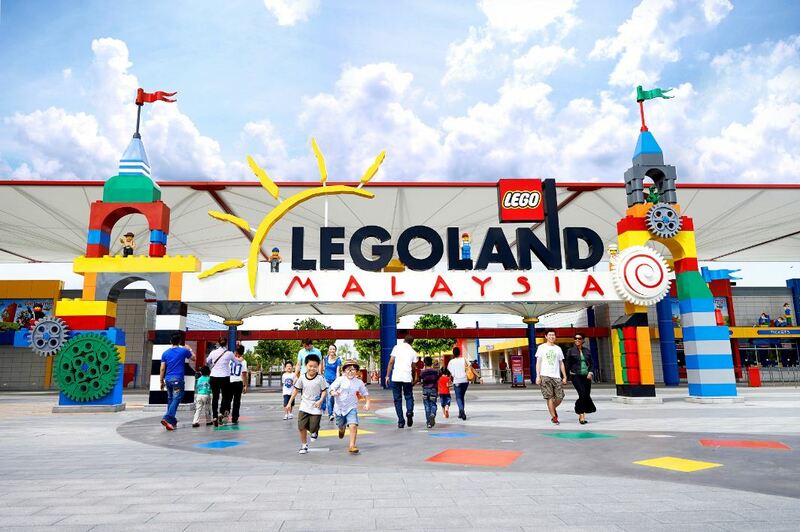 Located in Malaysia but Legoland is still the choice of many families when visiting to Singapore. 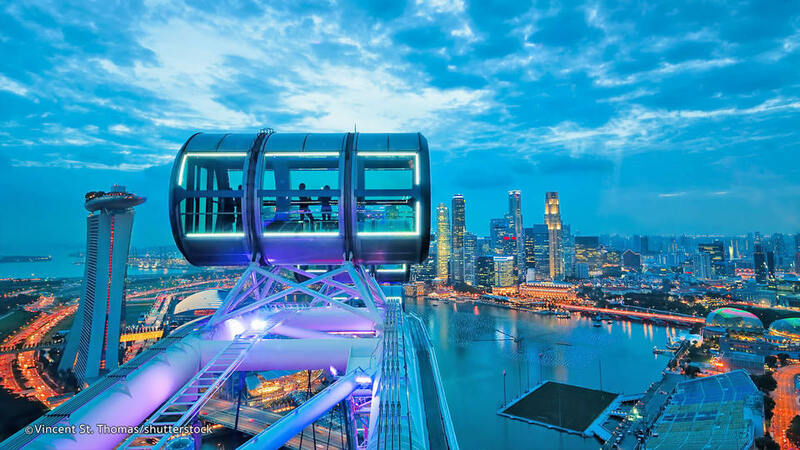 Singapore Flyer: The giant Ferris Wheel with the largest cabin in Asia, where you can enjoy spectacular view of Marina Bay and vibrant city of Singapore. Singapore Flyer is a great spot to see the whole Singapore city. Picture: singapore travel blog. Merlion: There are several Merlion versions so you can see it at Merlion Park on the banks of Marina Bay or on Sentosa Island. 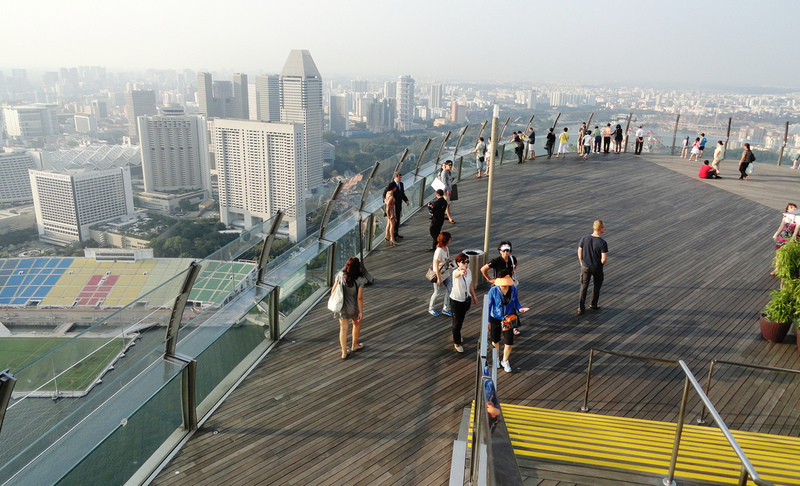 Marina Sands SkyPark: Singapore’s highest open observation deck, offering panoramic views of Singapore at the bay, especially at sunset or nightfall. 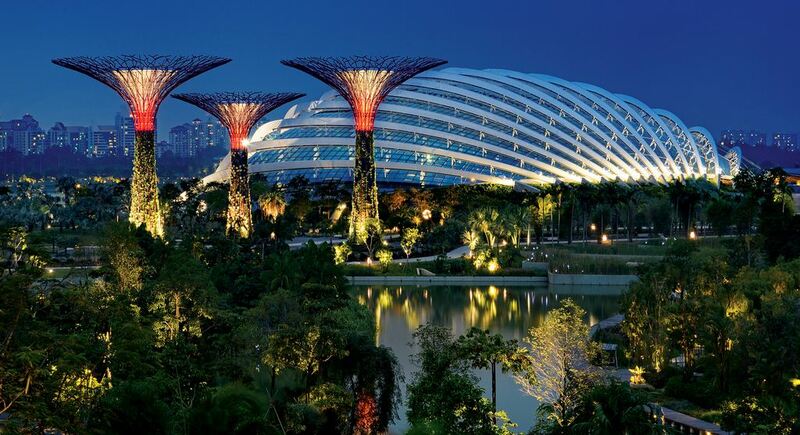 Gardens by the bay: Includes the Flower Dome, the Clould Forest, the unique super trees, the unique OCBC skywalk trail, and the distinctive sound and light show. Traveling to Singapore, you definitely must go to Gardens by the bay. Credit image: singapore blog. SEA Aquarium: The most magnificent aquarium in Southeast Asia with hundreds of thousands of marine organisms, bringing you to the bottom of the ocean in the most real way. Read more: Explore S.E.A. 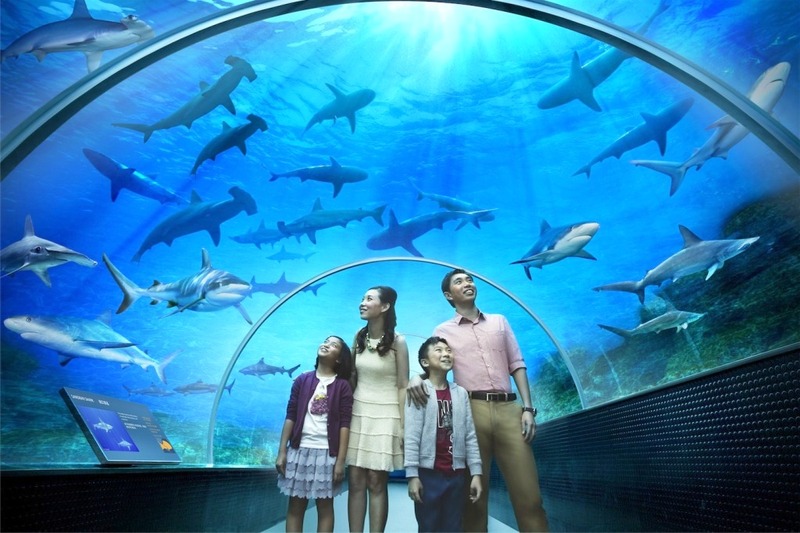 Aquarium Singapore — One of the best places you must visit in Singapore. 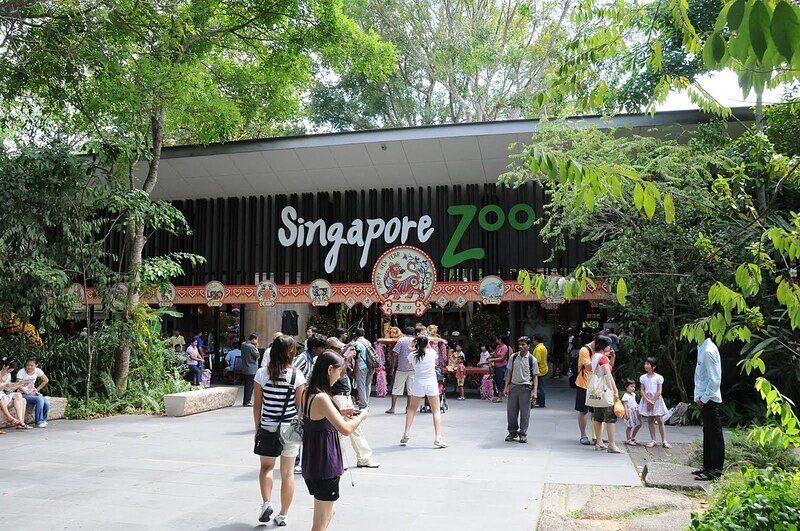 Singapore Zoo: 99% of Singapore’s most favorite by tourist reviews, covers 26 hectares, including more than 2,300 individuals of 300 species. Singapore River Safari: The unique park and zoo with a river setting, a place to visit all the world famous rivers and endemic flora and fauna. Singapore Night Safari: In the midst of the darkness of the night, you will have the opportunity to see the hyenas, leopard hunting majestic. 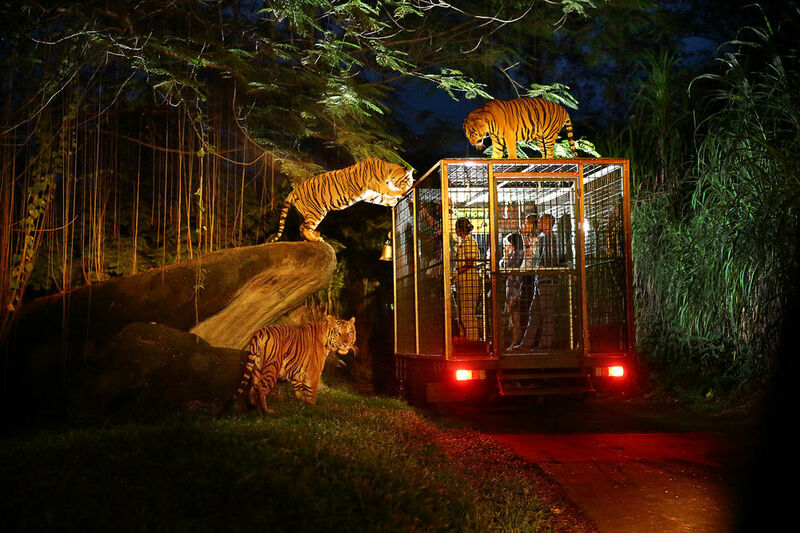 Read more: Singapore night safari tips — How to have a wonderful trip in Singapore Night Safari. 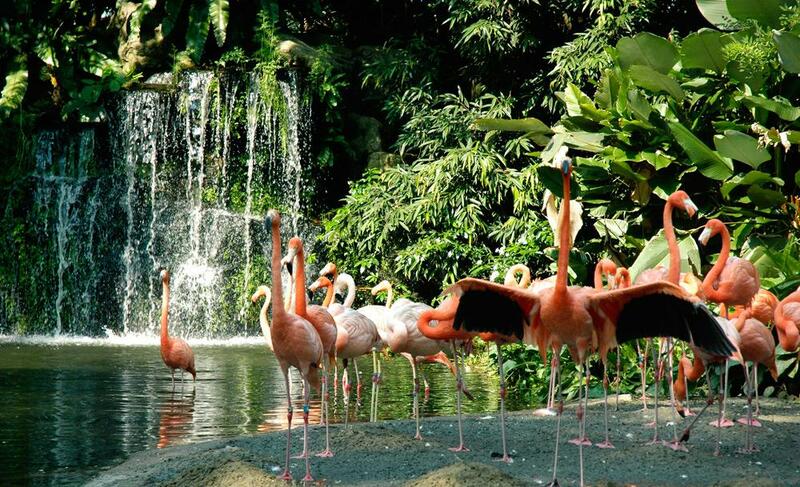 Jurong Bird Park – The world famous bird sanctuary with an area of over 200,000 m2, the home of 400 birds with nearly 5,000 individuals. 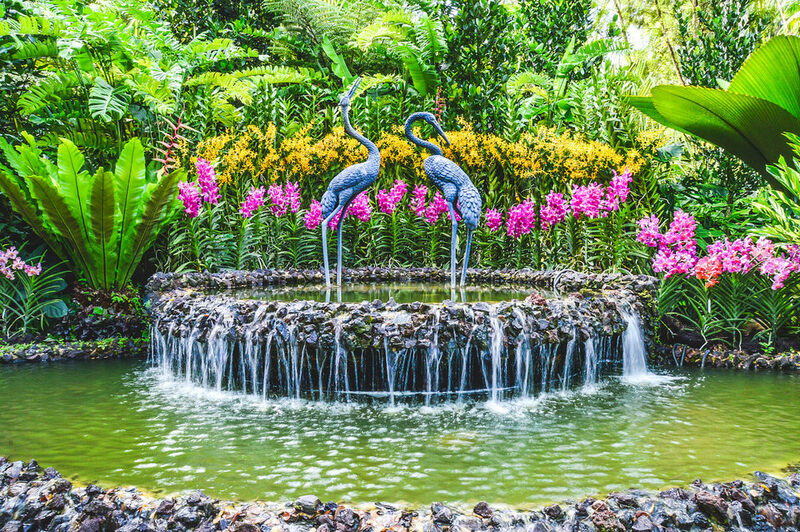 Botanic Gardens: One of the largest and oldest botanical gardens with thousands of herb species with the National Orchid Garden. Butterfly and insect kingdom: Where you can observe the life of more than 1500 butterflies and thousands of insects of all kinds. 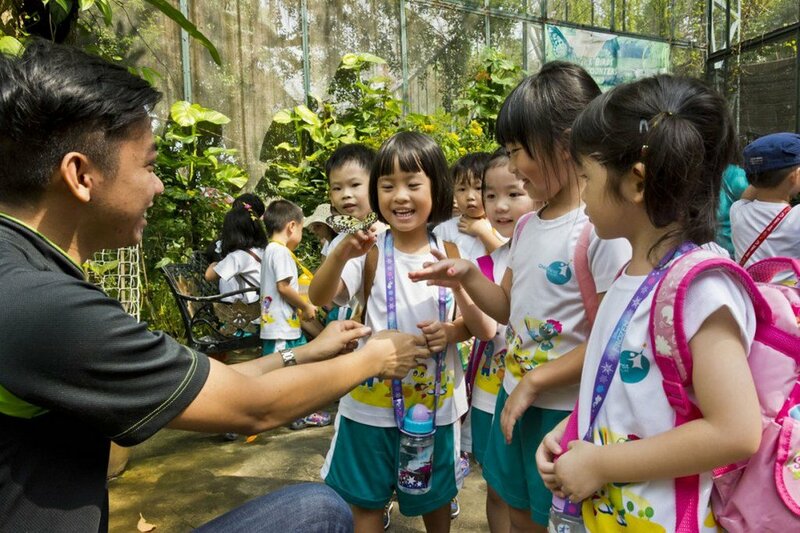 Butterfly Garden is also one of the must-see destinations in Singapore. Picture: singapore travel blog. ArtScience Museum: With the Future World exhibition taking you beyond the ordinary physical limits to get into the digital space in the most reality way. National Gallery: This place is a unique architectural attraction site with unique collections of history. 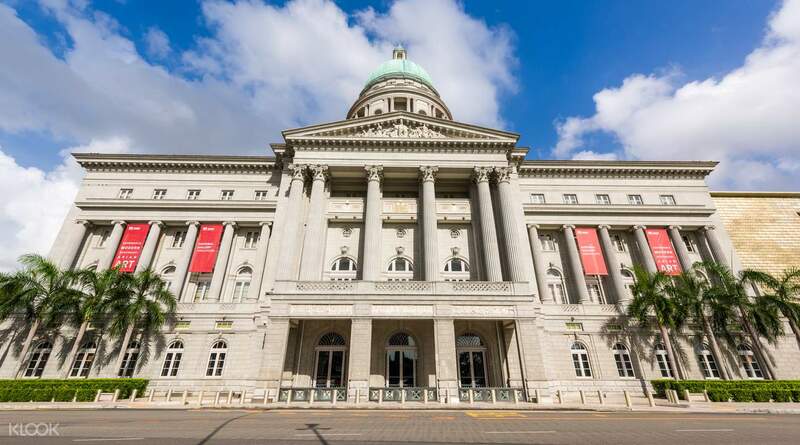 National Museum: The place preserves the entire history of the island of Singapore with 1700 artifacts, antiques show the most important milestones. 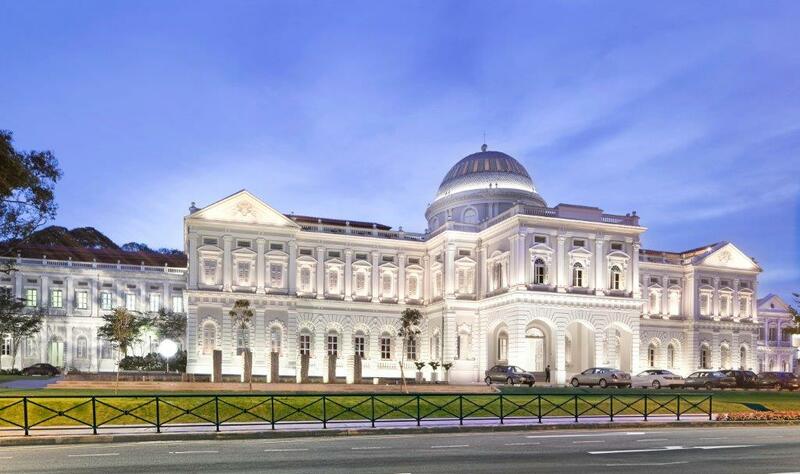 It will not be complete if you miss the National Museum of Singapore during your journey. Credit image: singapore blog. My trip to Singapore — How to spend 4 days in Singapore? Very nice and informative article, thanks to sharing it!